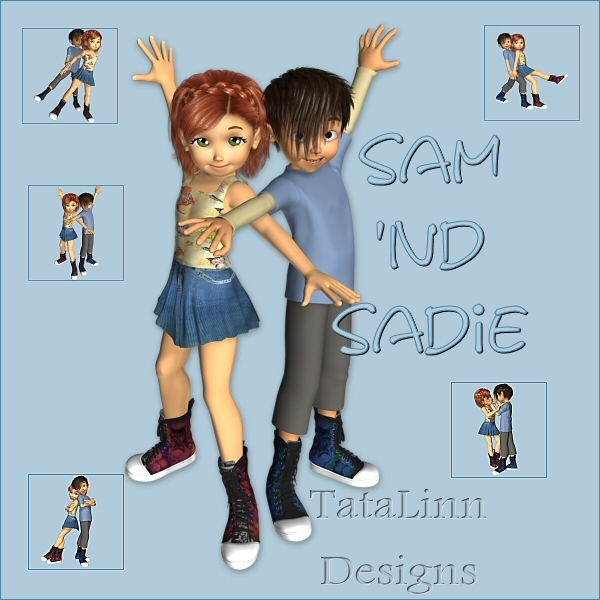 Sam and Sadie are a cute tooncouple, very fun to play around with. These png's are a in a little romantic style. 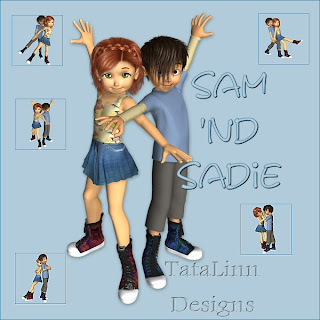 Have fun creating boys and girls stuff with Sam and Sadie. 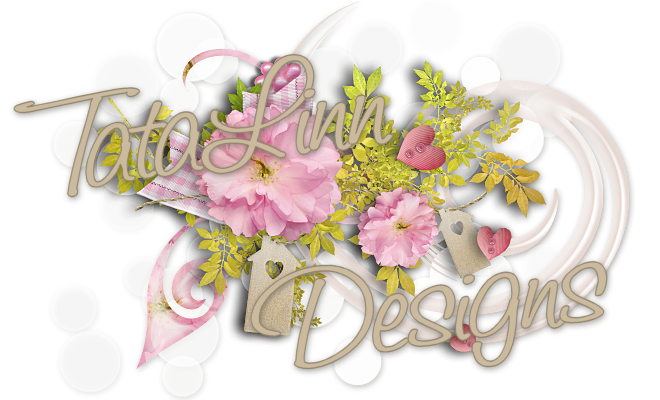 Click on the image to see a larger version and download HERE.